Our Newest Girl Scout Cookie, THANK U BERRY MUNCH, is scrumptious. It is a light cookie, with cranberries. 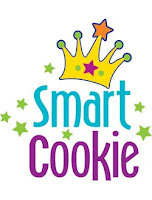 When I tasted it, I imagined a hot summer day that I'd been playing outside with the kids, getting parched and my blood sugar running low.... and being treated to this cookie! It would be delightful to have coupled with some rasberry tea, lemonade or a mix of gingerale and cranberry juice (a favorite "spritzer" of mine)... ahhh.... simply refreshing. It bet it would also be fantastic with a hot fruit flavored tea and a touch of honey on a chilly spring or fall day. With it being new this year, I've not had time to really experiment or day dream about experimenting with recipes with this cookie... but some bakers have. They have some great ideas!!! And, if we use them we can have cookies in our salad. I love this diet plan! It's one even I might be able to stick to in 2010. I also suspect you could crush it up and make it into a pie crust which would be wonderful with a cheesecake filling or vanilla pudding filling with cranberries mixed in. These are really interesting recipes, admit it. You know you need a box, even if it is just to try out these recipes. 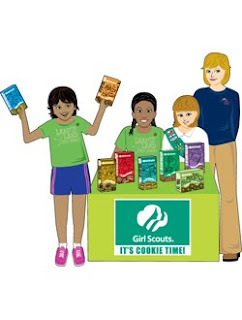 So, just click here to find out how to order Girl Scout Cookies in Loudoun/Dulles or elsewhere! And, stay tuned to http://www.livinginloco.blogspot.com/. I have a few more recipes I will be posting soon!